What is physical activity in early childhood, and is it really that important? We often hear messages in the media that children aren’t getting enough physical activity. But what exactly does “being physically active” mean when you are an infant, toddler or preschooler? And is it important for their health now and in the future? When we talk about physical activity for young children we don’t mean exercise or going to the gym. These ideas of physical activity aimed at adults are not suitable for young children. For young children, physical activity is about active play and having the opportunity to move about and explore their environment. Sometimes it’s easier to think about what physical activity isn’t. A physically active young child is one who doesn’t spend long periods of time in places that restrict movement (such as highchairs and pushers/strollers) or doing lots of seated activities (especially those that involve screens such as watching television or playing computer games). What is physical activity in young children? The physical activity opportunities provided to children will vary depending on their age and development. In infants, allowing them to move around through (supervised) floor-based play regularly throughout the day is recommended. 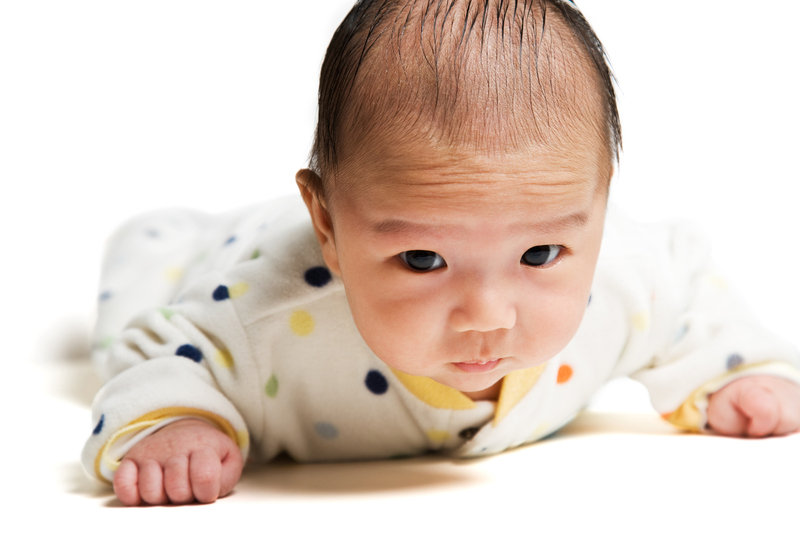 Tummy time (time infants spend on their stomach while awake) is a great way to help infants strengthen the muscles needed for later crawling and walking, and can provide children with opportunities for reaching and grasping (great for hand/eye coordination). Some infants don’t enjoy tummy time at first. In these instances, it can be helpful to start with very short (less than one minute) periods of tummy time initially (slowly building up over time) and encourage the infant with a mirror or favourite toy to look at if they hold their head up. Another good strategy when starting out can be to place the infant on a caregiver’s stomach so they see a loved one’s face when they hold their head up. When infants begin crawling/creeping/bottom-shuffling, the focus continues to be on floor-based play and on creating opportunities and a safe environment where they can move about freely. Recommendations suggest limiting the time young children spend in situations that restrict movement. This means avoiding playpens, stationary play centres, and extended times in pushers/strollers, highchairs, car seats, and baby carriers – anywhere that prevents a child from moving about and practising their new movement skills. Once children are walking independently, most of their physical activity will still come from active play, but may also include active transport (walking or biking to the shops or a friend’s house down the road) and organised sport-type activities designed for young children (such as swimming classes). Children tend to be more active when outdoors than indoors so going outside is a great strategy for increasing physical activity. Children will engage in physical activity of varying intensities – from light-intensity movement (slow walking) to quite vigorous running and jumping. Although young children seem to be moving around all the time, most of the activity they engage in throughout the day is of a light intensity. Current Australian Physical Activity recommendations for toddlers and preschoolers suggest they should engage in at least three hours of physical activity every day. This activity will mainly be active play and can be accumulated in small chunks across the day. Why do they need to be active? While the benefits of physical activity in primary school children and adolescents are fairly well-established, much less is known about the benefits of physical activity in early childhood. Nonetheless, a growing body of research suggests that physical activity in early childhood may have beneficial health outcomes in both the short and long term. Observational research has shown physical activity in early childhood is associated with better physical health. This includes a healthier body composition, and better bone and heart health, particularly when the physical activity is more intense. But physical activity may also be important for children’s brains and social skills too. Studies have found favourable associations between the time children spend in active play and their management of their own behaviour and how well they get on with others. Others have identified that active movement breaks may improve preschool children’s attention. Perhaps equally importantly, early childhood is a time when children generally perceive their physical abilities to be quite high, meaning that they may be more willing to try and persist at new activities. This may have important implications for children’s development of fundamental movement skills such as throwing, kicking, catching and skipping. Over the longer term, evidence suggests children with higher physical activity levels in early childhood are more likely to be active later in childhood and even into adulthood. This is very important for optimal health and well-being across the lifespan. 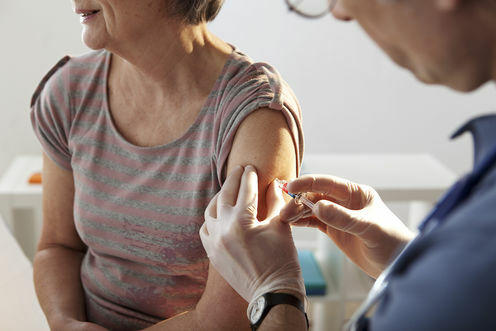 Explainer: how do you get shingles and who should be vaccinated against it?